Princess Piggy Poo has clear ideas about her preferences. In a blind taste test, I presented my cute cavy with two brands of timothy hay. I placed one mound of Oxbow® and another of Kaytee® in her cage. There was a clear winner. To make sure Princess Piggy Poo’s preference wasn’t location-based, I moved the last mound standing to the spot that was flat and added a new mound of the winning hay. Again, there was a clear champion — and it was the same brand. I had read online that there was one superior brand of timothy hay on the market, but it’s hard to believe things you read online. However, a blind taste test with the guinea pig you will be feeding the hay to provides irrefutable evidence. Naturally, Princess Piggy Poo likes the superior, and more expensive, Oxbow hay. Once Princess Piggy Poo eats up that leftover haystack, she can have all of the quality stuff she prefers. Princess Piggy Poo may be royalty, but in the big castle we believe in the “waste not, want not” principle. 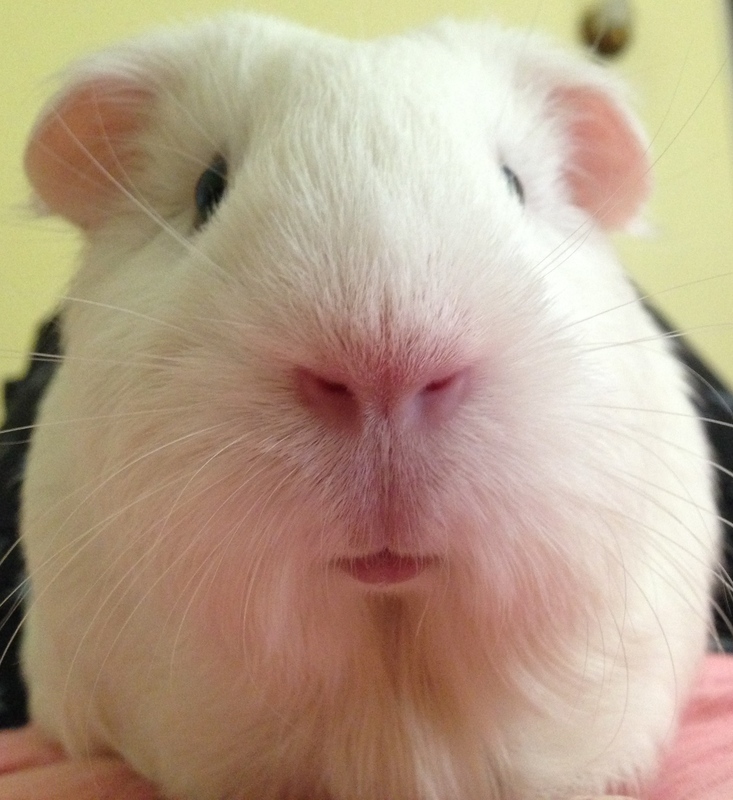 This entry was posted in Guinea pig diet and tagged cavy, guinea pig, hay, princess piggy poo, timothy hay. Bookmark the permalink.